FORMER Catalan Deputy Prime Minister Oriol Junqueras will remain in pre-trial custody, after Spain’s Supreme Court unanimously rejected his appeal. Junqueras, the prominent separatist leader who has an outside chance of becoming president when the regional parliament is sworn in later this month, has been in prison since early November. 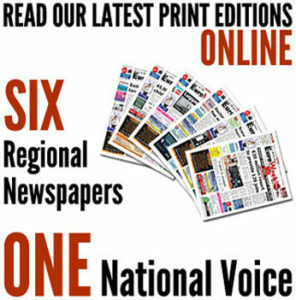 He is accused of rebellion, sedition and misuse of public funds following his role in the declaration of Catalan independence, following an illegal referendum. Despite some of his colleagues being released on bail, Junqueras was kept in Estremera prison, outside Madrid. The court has now upheld the decision despite Junqueras’ appeal, citing fears he would commit the same crimes for which he is being investigated. He was number two in the regional parliament before Spain dissolved the government. His Esquerra Republicana (ERC) party came third in last month’s elections and will be crucial to forming a new, pro-independence government. Junqueras is now likely to be prevented from being sworn in at the opening session of the new Parliament on January 17. That complicates the process of forming a government, since his party make up the second largest grouping of pro-independence representatives. The largest party was Ines Arrimadas’ Ciudadanos – a pro-unity group – with deposed president Carles Puidgemont’s Junts per Cataluña (JPC) party coming second. Junqueras’ ERC were a few seats behind. Both men were fired from their previous positions when the Spanish government dissolved the Catalan administration. 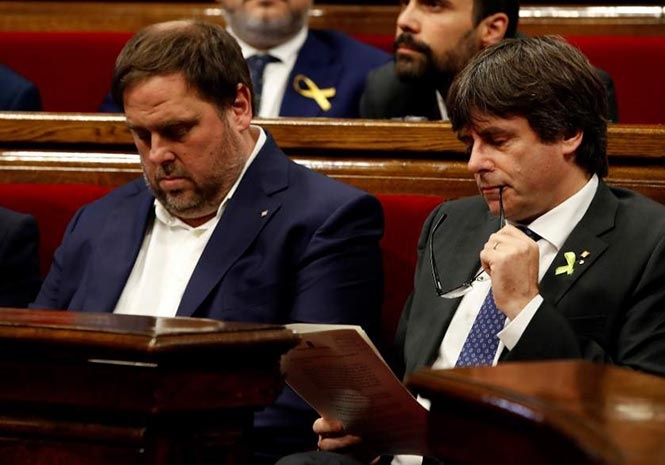 With Puigdemont still in Brussels – were he fled to following a warrant for his arrest – Junqueras could, theoretically, become president if Puigdemont does not return to Cataluña. But Junqueras may now be unable to return, if he is still in prison. ERC and JPC have still not agreed on forming a coalition, according to Reuters. The separatist block would have a slim majority if they work with four anti-capitalist representatives.